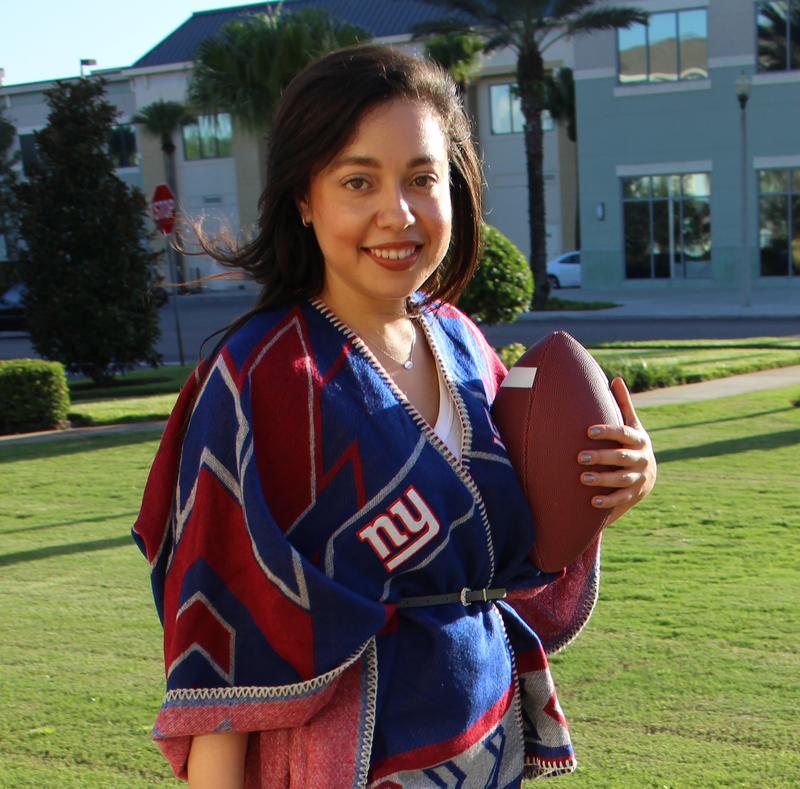 Major league soccer is a worldwide, cultural phenomenon that drives fans to do and wear some crazy things. Some make us laugh, smile, stare or buy ridiculous yellow whistles called vuvuzelas. 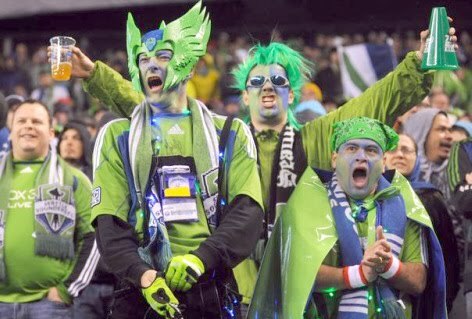 As soccer continues to gain mass popularity in the U.S., TSR decided to profile some of the league's famous fans from right here in the States. 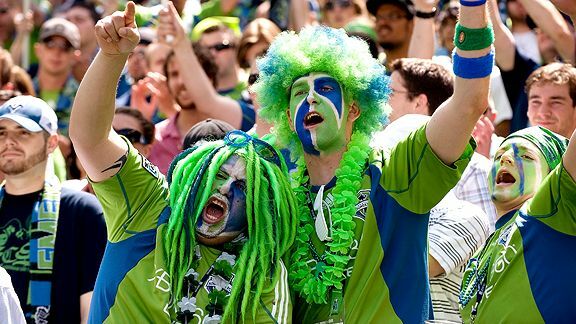 For multiple, sometimes scary and confusing reasons, the Seattle Sounders FC fans jumped right out. In their first two seasons, Seattle has sold out every league match, set MLS records for average attendance and led the league in season ticket sales. The club qualified for the MLS Cup playoffs in each of its first three seasons. In 2009, Sounders FC became the second expansion team in MLS history to win the U.S. Open Cup, and in 2010 became the first ever MLS team to repeat as Open Cup champions. On October 4, 2011, the Sounders became the first ever MLS team to win the U.S. Open Cup three times in a row, defeating the Chicago Fire 2–0. That's impressive. 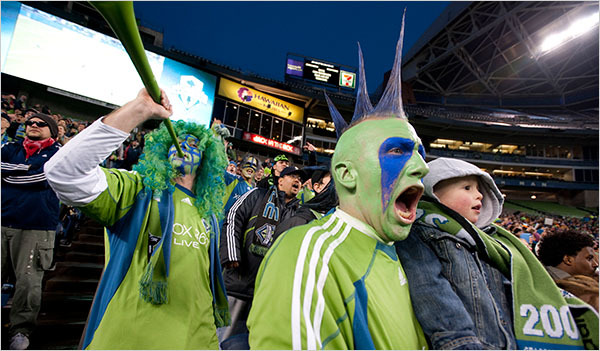 Part of their success could be due to the incredible home field advantage that the Sounders fans provide. They're loud, proud and not just in a yelling, screaming and slurring kind of way. Their unique style is their not-so-secret weapon that conveys their intensity, but instills a little fear, too. Maybe that's the point. In any case, there is definitely strength in numbers - in their debut season, the Sounders enjoyed the largest average attendance in the MLS with 30,943 fans per game. With that many devoted fans clad in elaborate, over-the-top and occasionally scary fan armor, TSR can't help but give the Sounders fans the spotlight. 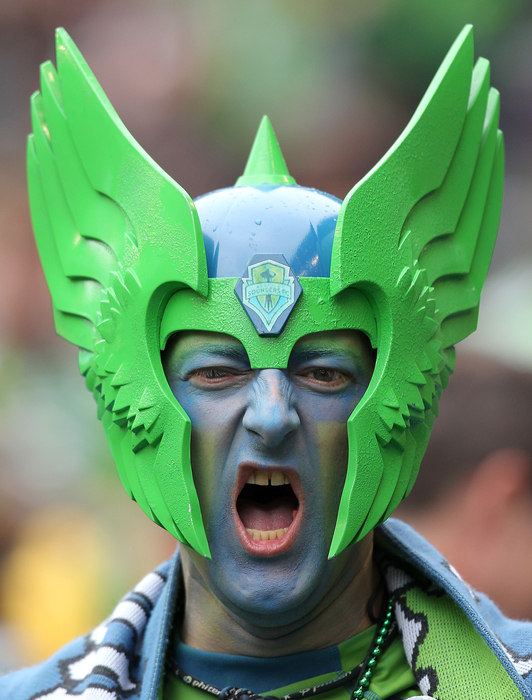 What do you think of the Sounders fans' loud, proud style? woooowww, im proud of american fans for finally embracing the best sport EVAAAA!